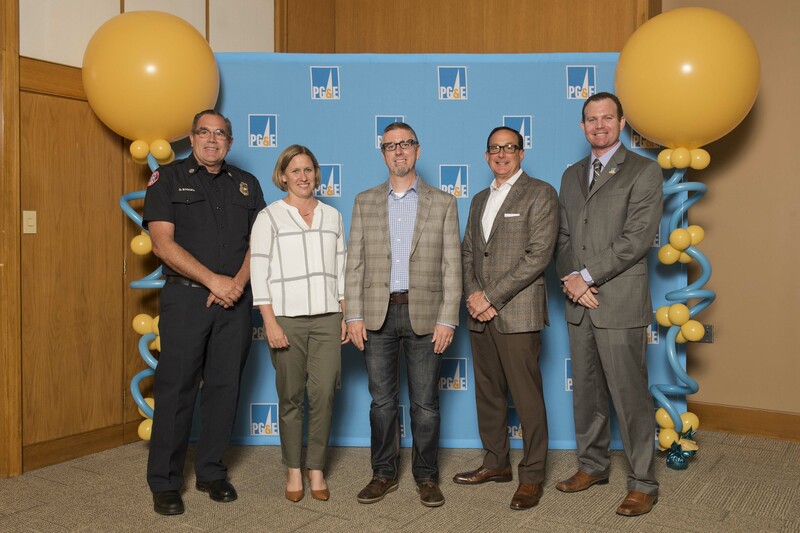 Two award-winning Pacific Gas and Electric Company (PG&E) employees have donated $5,000 to the Social Sciences Learn by Doing fund. For the last 10 years, students participating in Dr. Terry Jones’s Archaeological Field Methods class (ANT 310) have learned excavation techniques working on PG&E’s Diablo Canyon Nuclear Power Plant property near Avila Beach. Cal Poly has partnered with PG&E to conduct salvage excavations at sites on their lands that are being undermined by erosion and other impacts. The arrangement provides a perfect Learn by Doing opportunity in which students practice real hands-on skills while salvaging irreplaceable prehistoric artifacts and faunal remains. In 2015, students discovered an exceptionally important find: the remains from a Chumash village identified in records from Mission San Luis Obispo as Tstyiwi. Once the importance of the site was recognized, Cal Poly and PG&E decided to shift priorities, and focus on protection and conservation. PG&E representatives Mike Taggart and Kelly Kephart (Forestry and Natural Resources, '06) were particularly determined in their attempts to change land use practices in the site area to eliminate impacts; they terminated agricultural activities and initiated an innovative project to stabilize site soils with native grasses. 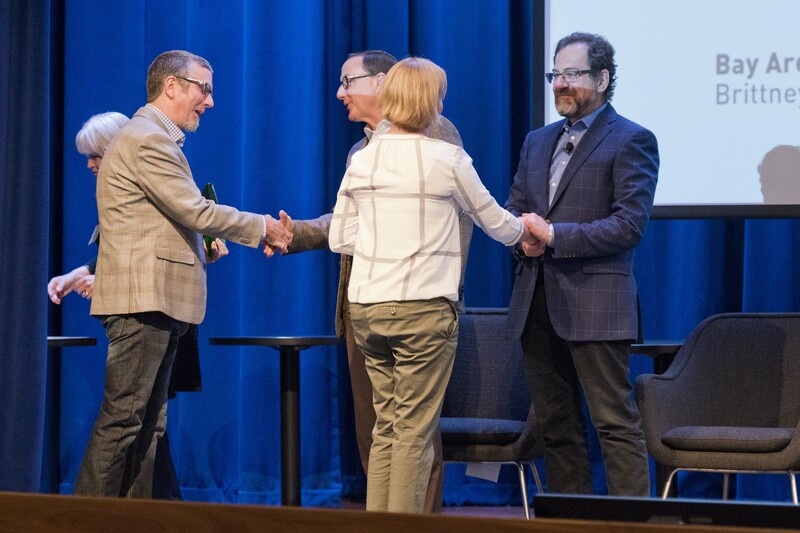 In recognition of their hard work, PG&E awarded them the company’s Richard A. Clarke Environmental Leadership Award that honors individuals and teams whose efforts best demonstrate environmental leadership. Richard A. Clarke was PG&E's chairman and CEO from 1986 until his retirement in 1995. He led the company's efforts to build its reputation as an environmental leader. The award comes with a $5,000 stipend that is donated to any organization selected by the awardees. Taggart and Kephart elected to have the funds donated to the Cal Poly Social Sciences Department. PG&E, Terry Jones and the Northern Chumash Tribe will also receive a 2018 Governor’s Historic Preservation Award in November for this project. The annual awards recognize individuals, organizations, companies and public agencies whose contributions demonstrate notable achievements in preserving the heritage of California.